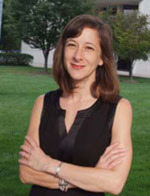 Dr. Lisa Eckenwiler is an Associate Professor of Philosophy in the Departments of Philosophy and Health Administration and Policy at George Mason University. Professor Eckenwiler earned her B.A. from the University of Wisconsin-Madison and her Ph.D. in philosophy with a concentration in bioethics from the University of Tennessee-Knoxville. Prior to joining the faculty at George Mason University Dr. Lisa Eckenwiler was Associate Professor of Philosophy and Co Director of the Institute for Ethics and Public Affairs at Old Dominion University. From 2002-2003, Dr. Lisa Eckenwiler served as Director for the Consortium to Examine Clinical Research Ethics at the Center for the Study of Medical Ethics and Humanities at Duke University. Dr. Eckenwiler’s current research focuses on ethical issues at the intersection of long-term care, health worker migration, especially nurses and care workers, and global health inequities.